Do you want to go to the Bronx Zoo for free this summer? How about the Museum of Natural History? MoMA? The aquarium? The City of New York is currently offering photo ID cards free of charge. City residents can gain entrance into a wide variety of cultural institutions for free as well as get discounts at businesses around the city. Cardholders have access to one-year free membership all of these incredible places! For more information on how to apply, please visit the website here. Anyone over ten years old can get a card - including adults! To make an appointment at an enrollment center and learn more - click here. NYC (Department of Youth and Community Development) offers paid summer employment opportunities for 14-24 year olds. More info can be found here for 14-15 year olds, and here for 16-24 year olds. Summer Youth Employment Program (SYEP) Applications are out now and can be found here. All applications are due 4/26/19. Anyone who would like help filling out an application can email Danya. 9th Grade Physics classes will spend Cycle 4 designing an electronic device to assist users who struggle with accessibility in their daily lives. We are seeking speakers who have experience with accessibility concerns to provide insight to our community about common challenges that exist in their lives or in the lives of those they work with. If you or someone you know is interested and available to meet with the grade April 29-May 10, please contact Sammi. Great Scholarships Available - cost can be reduced from $425 to $50 (based on need). Exciting field trips and guest speakers. Last year they visited the Spotify offices, Palantir, and NYU Tandon School of engineering. They also had professional women in tech come in and speak about their experience. Also here are some highlights from last summer. Spend three weeks falling in love with code and dance - and the magic that happens when you bring the two together. Over the course of the program, girls will be introduced to software and electrical engineering principles, as well as choreography fundamentals. They will learn to write code, construct circuits, and create movement. By the end of the three weeks they will have a tech project they imagined and brought to life, and a dance routine that incorporates it. This is an opportunity to collaborate with inspiring instructors, build community, and let creativity flow. This program runs July 8 - July 26 (M - F) from 9AM - 3PM. Learn more here, and apply by May 5! Help spread the word on test refusals beyond ICE! In case you missed it, ICE PAC announced in the last edition of this newsletter that 89% of ICE middle school students had refused the New York State ELA tests. (It actually turns out to be 90%, but that's not the subject of this item.) Families in other schools around the city may not have realized they had the right to refuse or were incentivized or intimidated not to opt out. In fact, the scare tactics reached such heights that NY's highest education officials were compelled to issue a statement reaffirming parent rights of refusal (and chastising school and district actors who have blocked information, or worse, misled parents). Need resources to help you out on this mission? Check out NYC Opt Out on Facebook or Twitter or optoutnyc.com on the web. Around a year ago a group of young women who were soon-to-be graduating 12th graders gathered at ICE to talk about ways to improve the experience for other girls at ICE. One of the important recommendations that arose from that meeting, was suggestion that the ICE Girls' Bathroom should always have a supply of feminine products available to students for free. The group felt this would be helpful for many reasons, and for students of all ages. Since that time, our school has been committed to keeping a steady supply available. If you would like to help us in this effort, please see our amazon wish list here. Contributions of any size are welcomed and appreciated! If you would like to contribute to the upcoming meal on Tuesday April 16th, please fill out (the very short) form. SONYC @ ICE will be closed on Thursday, April 18th due to staff development. If you have any questions please reach out to Kristin by phone 929-246-0498) or email. tickets to a musical event - any genre! Beautiful, often handcrafted jewelry & bags are big favorites at the Spring Fling auction. Use the Online Donation Form or the Printable Donation Formwhen asking for donations. Be sure to give your donors the Merchant Letter which includes our tax id number for those who are donating. Wednesday, April 17th at 6pm in auditorium. The PTA will host a screening and discussion of Screenagers. Purchase your tickets now. ELA tests are over! At ICE 89% of eligible students refused the test. Many school districts around the state very actively tried to suppress opt out this year, leading the state's highest education officials, Chancellor Betty Rosa of the Board of Regents and Commissioner Elia of the State Education Department, to issue a statement today affirming opt out rights. 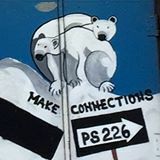 We at ICE PAC are happy that our school needed no such reminder and view our work in the context of another statement, released earlier this week by the grassroots group Jackson Heights People for Public Schools. An excerpt (it's long!) appears below. In a system of school choice championed by Trump, DeVos, and leading Democrats, middle and high-income parents will almost always choose the schools with higher test scores, which enroll wealthier students and fewer students learning English. Zoned schools that accept all students face intense pressure to raise test scores and resort to excessive time for ELA and math classes at the expense of a well-rounded curriculum. On the other hand, students at schools that serve disproportionately wealthy and white children are offered a more balanced and arts-enriched curriculum. Jackson Heights People for Public Schools rejects state tests that are used to further segregate our schools, and unfairly evaluate children in our community and the educators who serve them. On Wednesday April 10th, all of our high school students will be leaving the building to participate in a variety of service projects around the city. We are partnering with sixteen organizations including senior centers, urban farms, soup kitchens, food pantries, the billion oyster project, the parks department and more. Students will be divided into groups of between 10 and 25 kids. Each group will be accompanied by a teacher. A few of the larger groups need a couple of extra chaperones. We're looking for parents interested in spending a few hours chaperoning one of these groups, along with one teacher. Middle school parents are MOST WELCOME to participate. You do not have to accompany your own child's group (students will not be assigned groups yet). Thanks for your help to make this day a success.